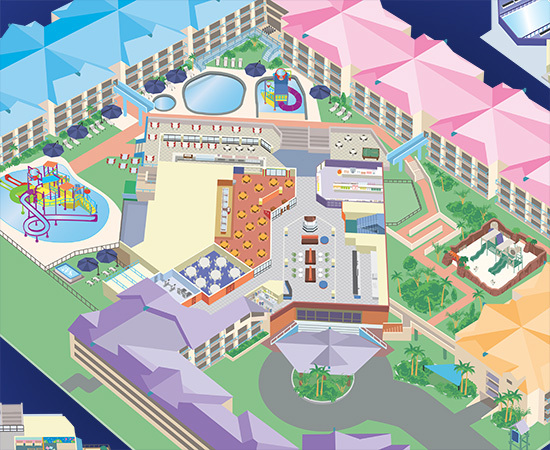 PRESENTATION : Illustration of a resort map over three levels incorporating all key features and attractions. Process included taking site photos, rough sketches and final vector artwork. It has been an absolute pleasure working with you and I look forward to recommending you to others. Your work is truly amazing!